As a business, we are continually striving to research, develop and invest in survival solutions that meet the long-term requirements of our customers. This means partnering with industry leaders to enable us to deliver integrated product and service solutions in the world of survival equipment. Many of our customer relationships are founded on strong successful partnerships enabling both parties to benefit from long-lasting mutually advantageous contracts for testing, refurbishment and upgrades of escape systems and associated equipment. We are a UK authorised distributor of MSA Gallet Helmets for their aviation range of jet aircraft, helicopter and general aviation helmets. With this relationship, SES can further extend its product offering for commercial pilots and vastly improve on delivery lead times, maintenance and overhaul in the UK. In partnership with Sea Rescue Gear, (SRG) International, we have designed and developed a unique Personal Sea Survival System-combining a life jacket and integrated Solo life raft (known as PS3) for both the offshore safety and aviation industries. SRG International are an established training provider in this sector. As a personal survival & equipment specialist, we are keen to extend our product portfolio to include larger rafts with the European general aviation pilot in mind. In partnering with Survitec Group as an approved reseller and partner of their rafts, we have incorporated the 4-6 man Pilot liferaft and their military specification single seat liferaft (as packaged in our Help-Pack) to our range. Through our partnership, we can offer greater choice and service expertise and maintenance in accordance to Survitec terms and servicing standards. We are a UK and Europe authorised distributor for American brand Switlik range of liferafts, life jackets and suits for the aviation, marine and offshore industries. 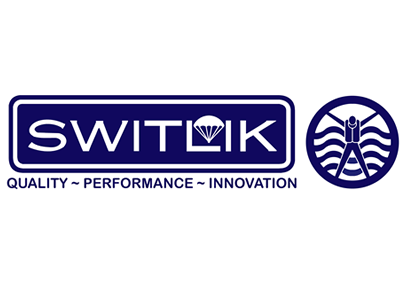 In partnering with Switlik, we have expanded our portfolio, giving customers greater choice according to their application for example manoverboard or coastal liferafts from a premium brand renowned for its quality, innovation and highly durable performance. SES Ltd have teamed with Task Aerospace Inc to extend our service & maintenance capabilities worldwide of Martin Baker and American type ejection seats. This partnership allows us to widen our technical expertise, combine specialisms and to offer customers a greater choice. Task Aerospace Inc manages, designs, develops & tests pyrotechnics systems and subsystems, ejection seats, and Aircrew Life Support Equipment. Together we will enhance each other’s capabilities.